More and more people are trying to make manicures by themselves. That’s great to kill your time and beautify your nails at the same time. 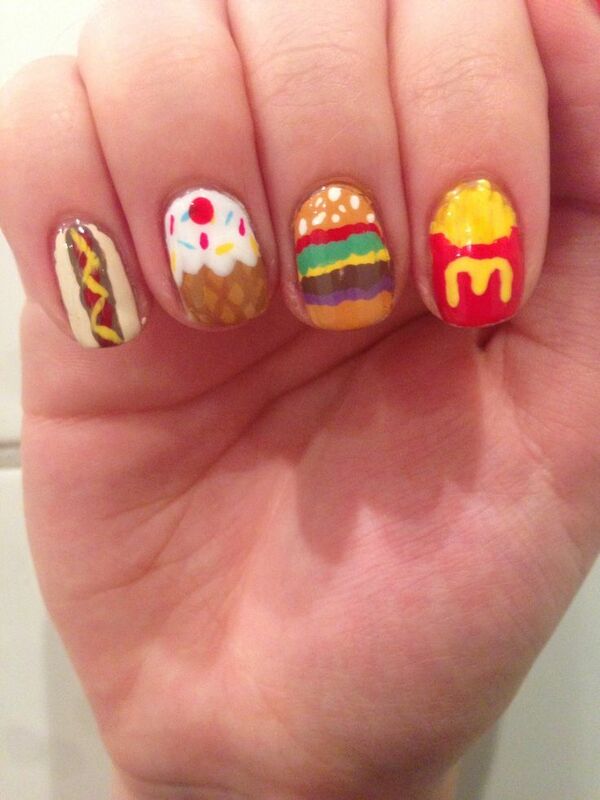 As your personal stylist So today, we would like to offer you some interesting food nail designs. 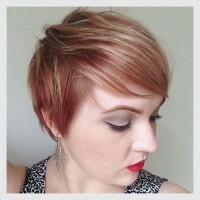 You can check them out and try them out in your spare time. Scroll down and enjoy! 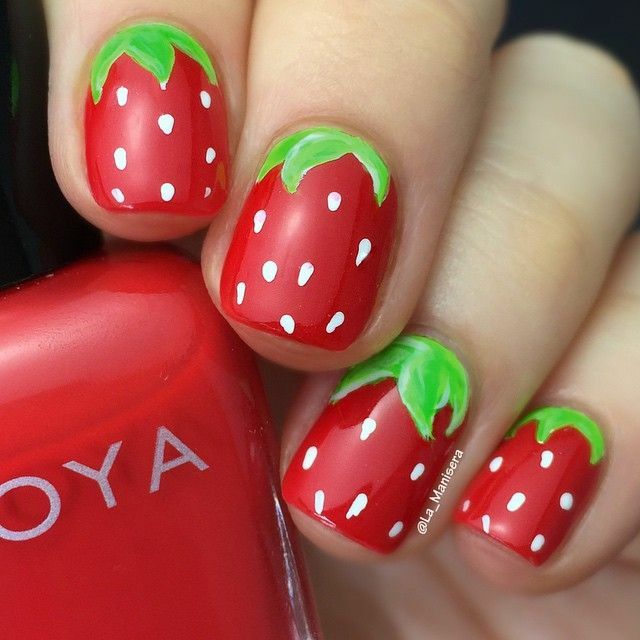 Will these adorable straberry nails urge you to buy some real ones to taste? 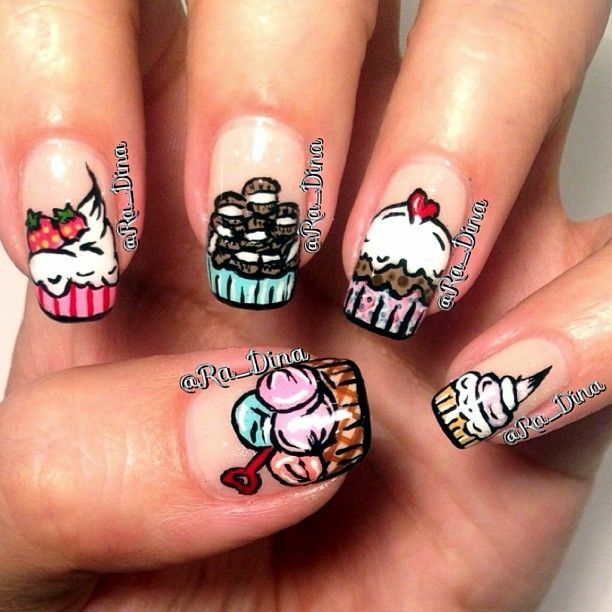 If you like cupcakes, why not just try this rich cupcake nail design? 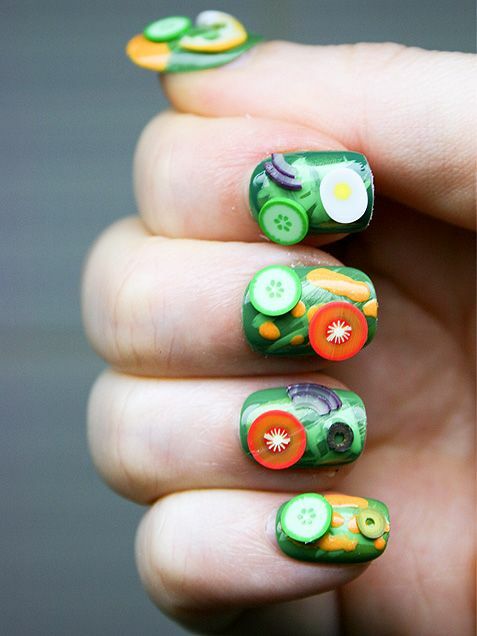 Put your favorite food onto your nails so that you won’t feel so bad when you are hungry.Ha-ha. Maybe, you will feel more hungry. The pink nail polish looks quite staring against the white background. It great for women who don’t like so much colors on their nails. What’s your favorite fruit? 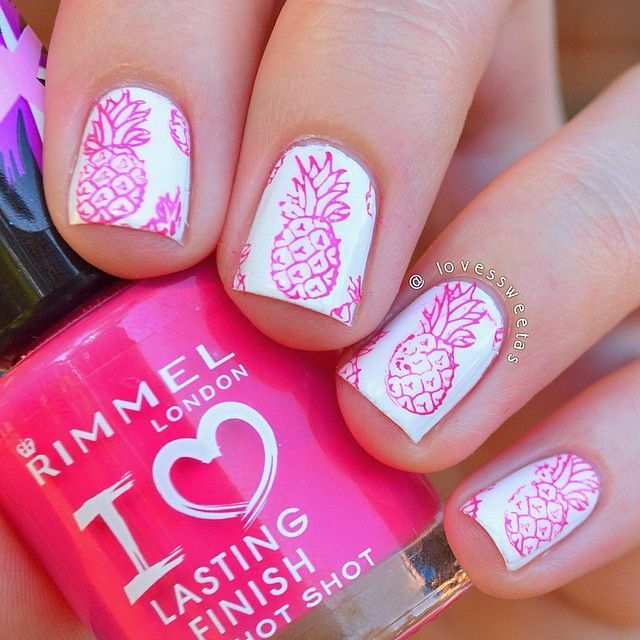 Perhaps, you can copy this idea and paint different fruit on each nail. It’s true that junk food is bad for our health. But it doesn’t matter if you just paint them on your nails. Right? 3D nails are worth trying. 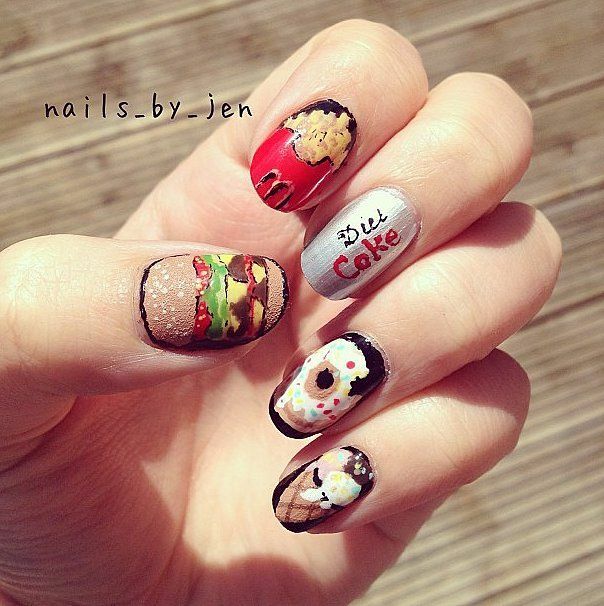 You can wear these stylish nails on any special occaions. 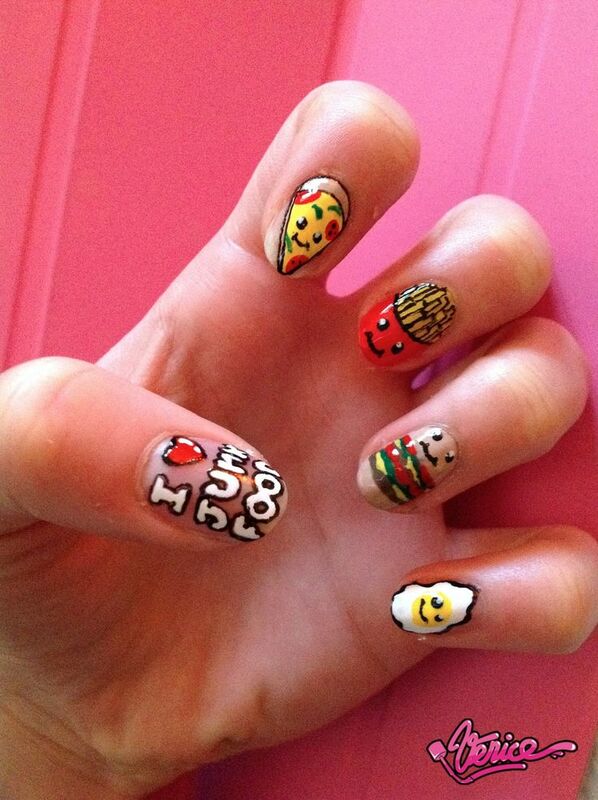 After seeing this picture, have you realized that the declicious food nails are not difficut to make. 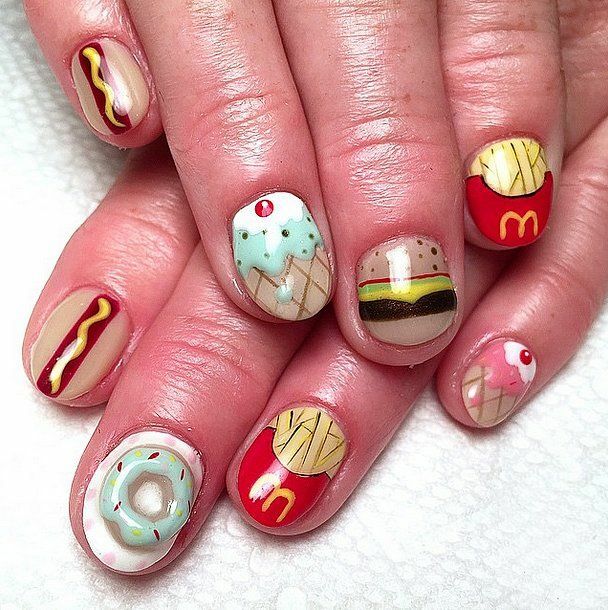 Well, here is your favorite McDonald nail design. Which do you like best? 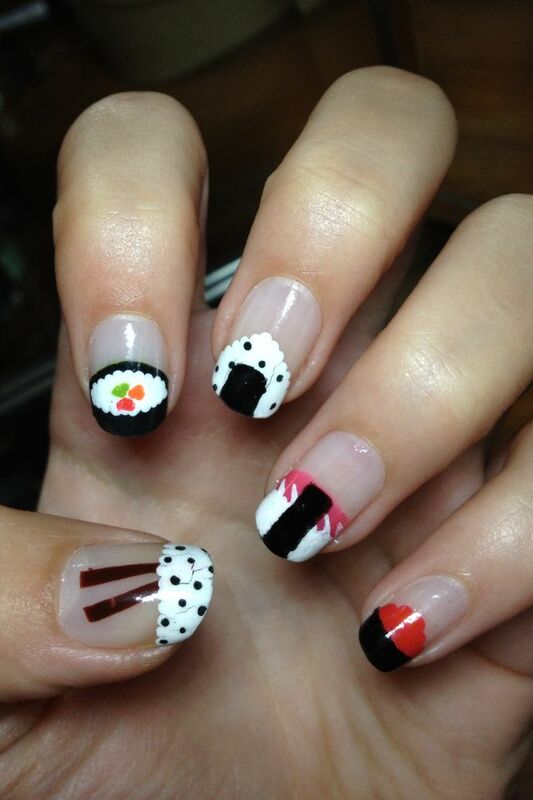 In a simple style, this sushi nail design is quite chic for all women to spice up their boring routine life. Look what we’ve got here! Ice cream, hamburger and sandwich… Wow, do you like this idea? However old a woman get, she will never hate pink. 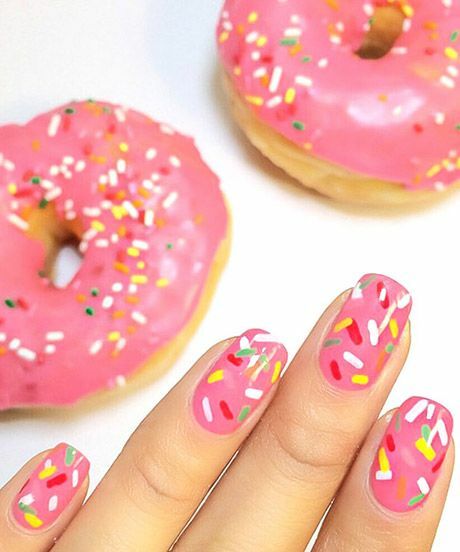 This pink nail design is inspired by the sweet doughnuts. It’s really a pretty manicure to try for those happy occasions. 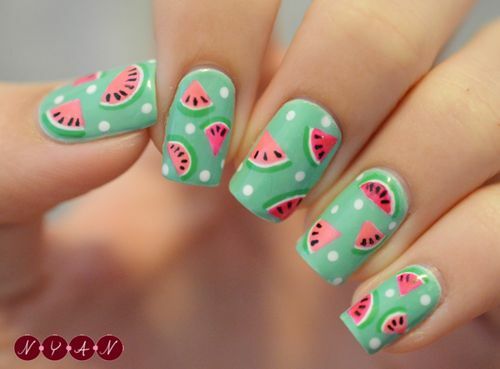 This watermelon nail design is the most beautiful I’ve ever seen. 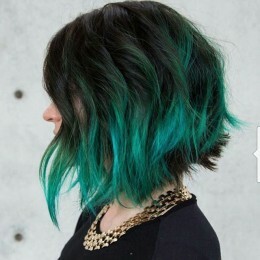 The muted green base is really wonderful for the watermelon theme. 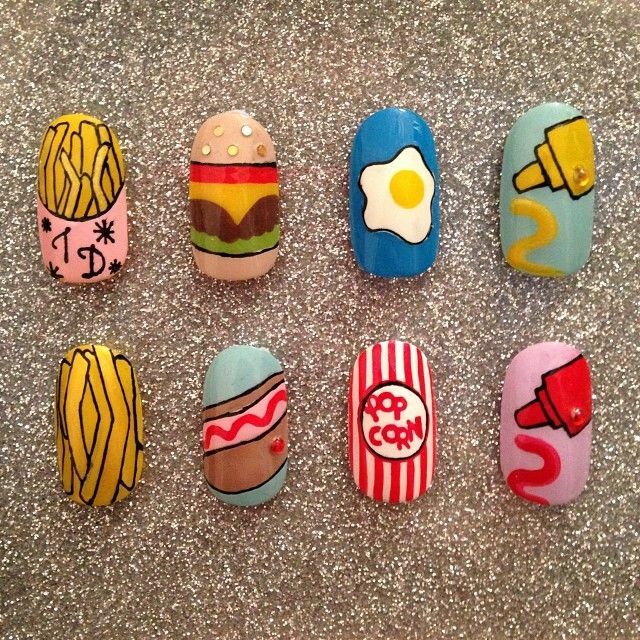 This manicure idea looks so cute with these interesting cartoon ice creams. How can a wpman say No to these adorable colors? 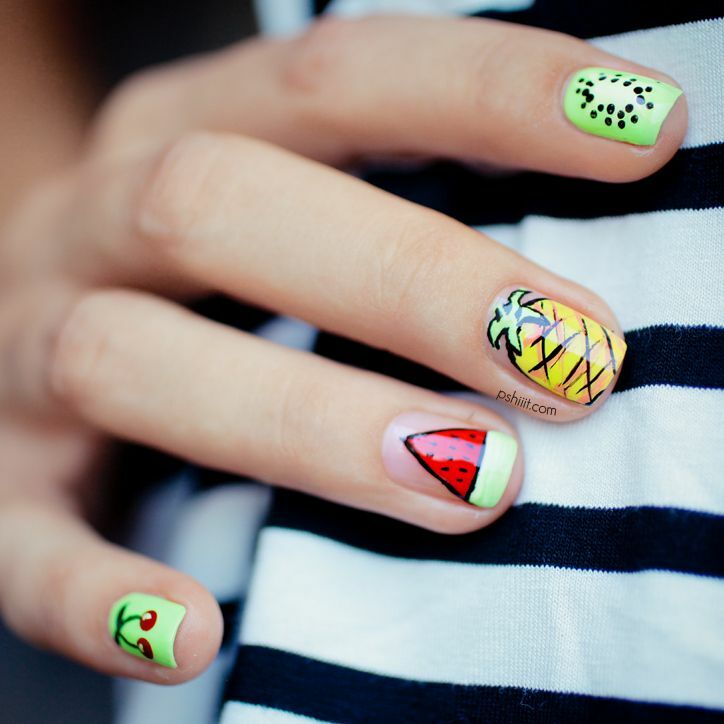 And the yellow, green and pink look rather stylish on this fresh fruit nail design. 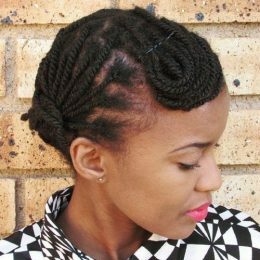 All sweeties should experiment with it. 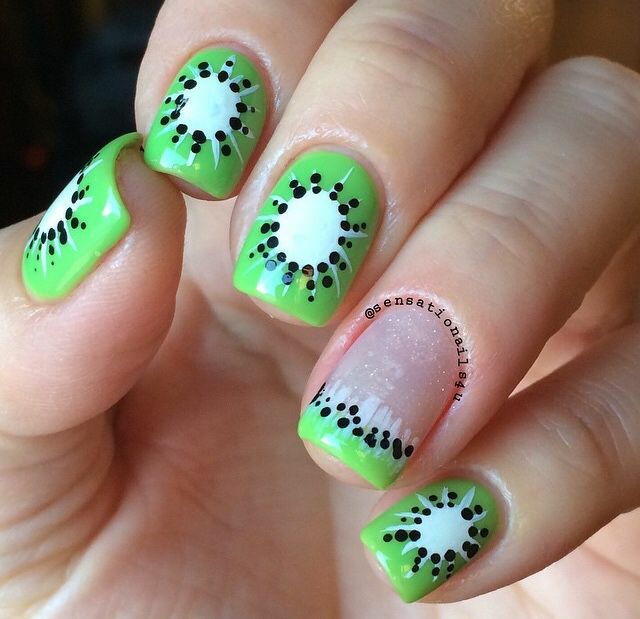 This kiwi nail design looks quite salubrious and it may be more suitable for spring or summer.